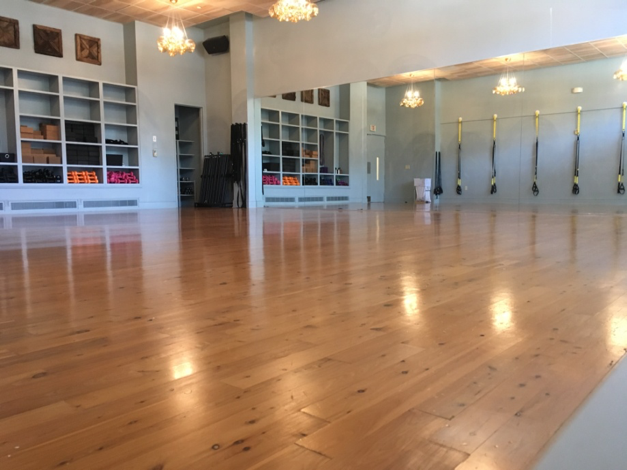 Charlotte welcomes Vibe5, a brand-new yoga, and fitness studio located in South Park, to the QC yoga scene! The studio opened on July 31st. Vibe5 (pronounced "Vibes") is owned by friends, turned business partners, Roni Pinch and Amy Radke. This is their first studio but you wouldn't be able to tell! From the gorgeous fresh design, to the dynamic mixture of classes, Vibe5 is guaranteed to make its name as one of Charlotte’s premier yoga studios. The name Vibe5 is inspired by two things. First and foremost, the 5 represents the 5 great children of Amy and Roni. The studio is partnering with Guru Girls Yoga and Trifeca Athletics. Roni and Amy both agree that cultivating strong collaborations with the community is part of the foundation of Vibe5. Walking into this studio you will be welcomed with open hearts and minds. 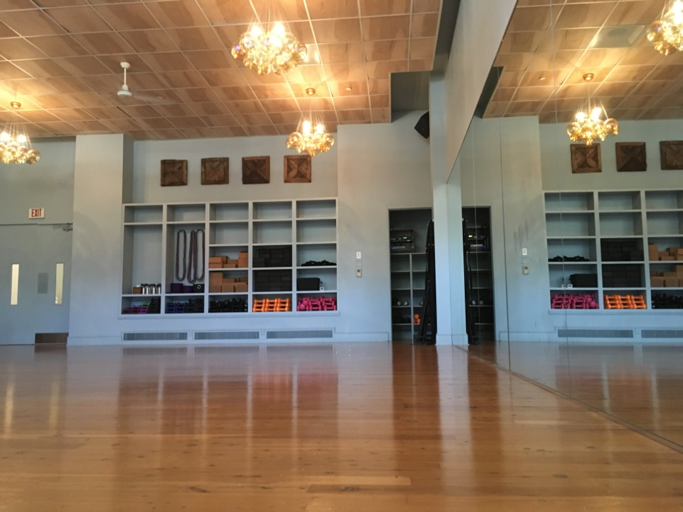 This is a space filled with individuals who love yoga and fitness as much as they love sharing it with the community they live in. There is only room for good vibes (all the puns intended) within the 4 walls of the studio. From the teachers to the members, Vibe5 is off to an amazing start! With a star-studded list of teachers, the studio will be offering 52 classes a week. Wondering if Vibe5 is a good fit for you? It’s almost guaranteed to be. Enjoy challenging, heart pumping cardio classes? Try their 60 minute Bootcamp class, Mondays and Thursdays at 12:15. Or maybe you prefer to sweat it out with a heated Downward Dog? Pick from one of the multiple Hot Vibe5 classes held daily. If cool temperatures and heart opening flows are more your thing, then Cool Vibe5 is for you. Look for this class throughout the week. Interested in an invigorating, refreshing and unique class? Look no further. Hit up their Rocket class, a mixture of traditional poses, Ashtanga Vinyasa and arm balances. I could go on, but I think you get my point. Vibe5 is located at 720 Governor Morrison Street, suite 104 E, directly across from Earth Fare. They offer a variety of membership packages, BUT, for the month of August ONLY you can purchase 30 days of unlimited yoga for $99 (the 30 days starts on the day of purchase ). OMB Yoga on Tap is excited to welcome Vibe5 to the Queen City and we simply cannot wait to see what power partners Roni and Amy will do next!